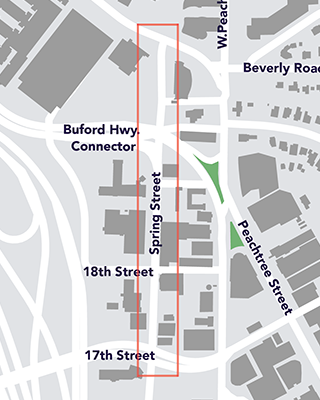 The Spring Street Improvement Project proposes to re-purpose one southbound lane on Spring Street (US-19) between Peachtree Street and 17th Street to accommodate wider sidewalks, ADA upgrades, street trees, pedestrian lighting, and bicycle facilities.This northernmost section of Spring Street is intended to be the first phase of improvements along the entire Spring Street corridor, one of Midtown's major southbound corridors that connects key destinations and amenities. This phase of the project is within three blocks of the MARTA Arts Center Station and will help to enhance safety, access, and mobility for all users. A thorough traffic study is currently being conducted for the project area. Once completed, project design work will continue and a public meeting to solicit input on proposed designs will be hosted. Please continue to monitor this page for project updates. By clicking the project map below, you can view the comments received on the existing conditions via our online public comment portal. 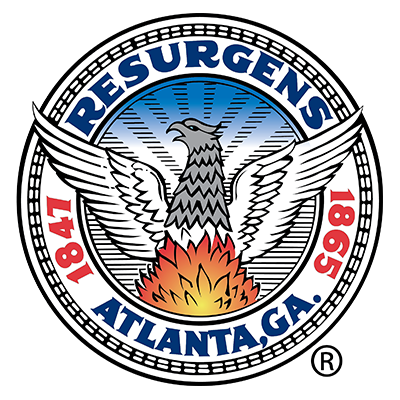 For detailed responses to submitted comments and questions please view this document. Design and Engineering will continue through 2019. Please stay tuned for project updates! 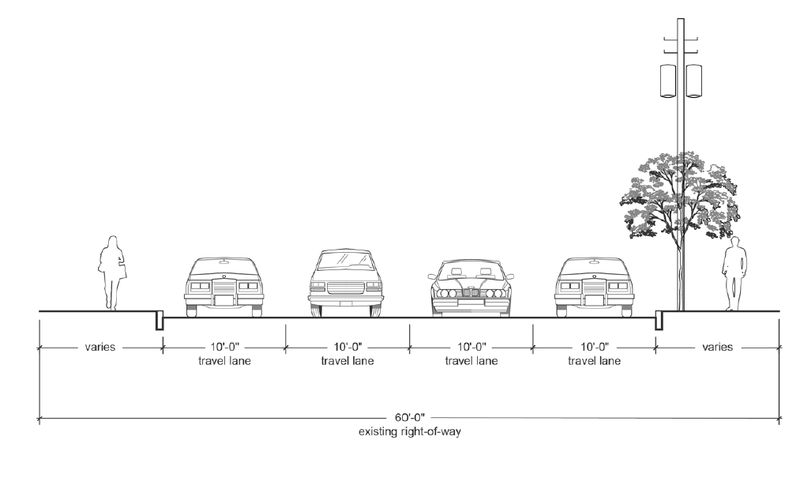 If you have general comments or questions, please contact transportation@midtownatl.com.